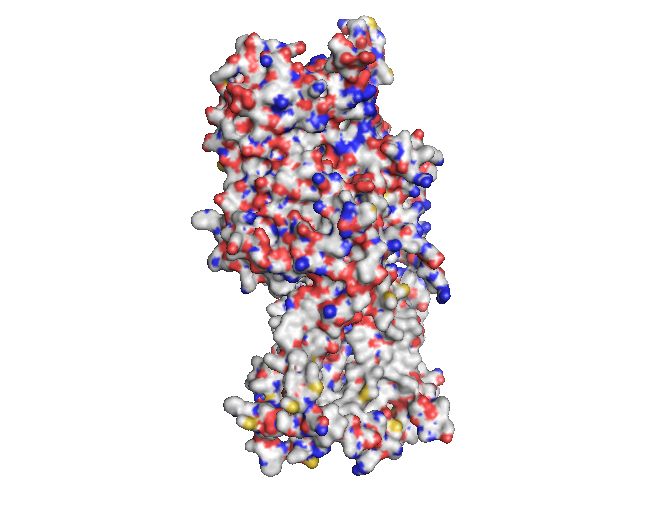 Model of SCN2A protein from Modbase. Its lower half is the membrane region, which can be seen in the distribution of carbon (white). SNC2A plays a significant role in autism reported one of three recent exome sequencing studies . We were enthusiastic but others – Mike Eisen in particularly – were critical about the claim. Statistically, his analysis is correct but there is context around SCN2A that should be considered. First, it was already shown to be implicated as early as 2003. The new study reconfirms the finding and provides new evidence corroborating the previous results. Soft factors, particular its known expression in the brain and its role in epilepsy would possibly make it an interesting finding even if it would have been detected in a single case. Ben Neale, the first author of one of the studies summarized the findings in a recommended blog post. Complex diseases are complex. If years and years of research found a syndrome to be influenced by many factors, is hard to characterize, no sequencing effort no matter how deep find a simple mutation explaining most of the cases – or even a sizable part. Some of the experiments performed in the EuroEPINOMICS consortium are close in design to the three autism studies. They should provide us with expectations and update us on experimental standards and statistical standards. And teach us some modesty. This entry was posted in Papers, Publications and tagged autism. Bookmark the permalink.